Liberia does not have a formal OTT policy, but has issued guidelines that future market reviews the impact of OTTs must be taken into account (link). 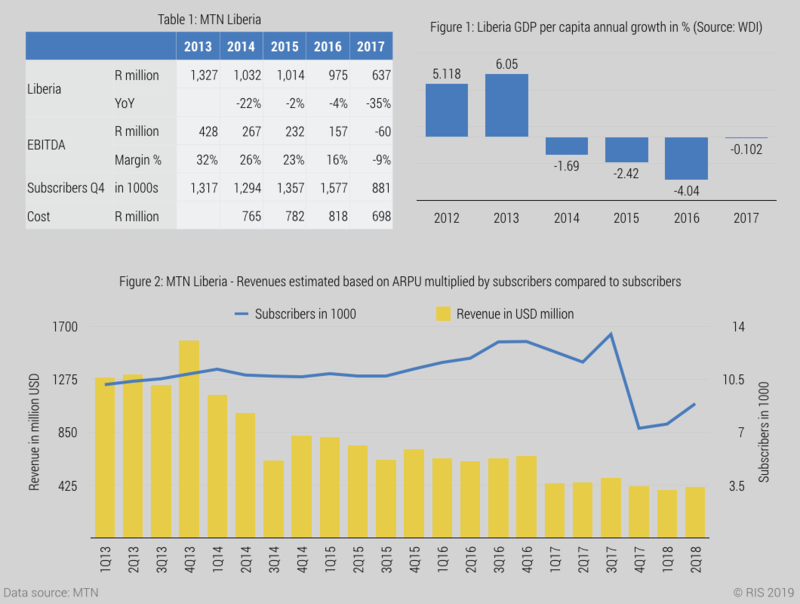 Revenue has steadily declined for MTN (Figure 3) and there has been a 50% drop in subscriber numbers in Q4 2017 contributing to the lower revenues. MTN’s decline in revenues was likely caused by the Ebola crisis, which occurred between 2014 and 2015. Liberia’s GDP growth was 0.7% in 2014, 0.3% in 2015 and -0.5% in 2016. In per capita terms, GDP growth has been negative since 2014 and fell by over 4% in 2016 (Figure 2). For Orange Liberia, only post Ebola crisis data is available publicly. It has seen declining revenues between Q1 2017 and Q1 2018. However, Q2 2018 saw a significant jump in revenues. Subscriber numbers have remained steady for Orange (Figure 4) compared to MTN’s massive drop in subscriber numbers between Q3 2017 and Q4 2017. Liberia has experienced severe macro-economic shocks and operating conditions for operators are tough. Revenues have declined for both MTN and Orange. 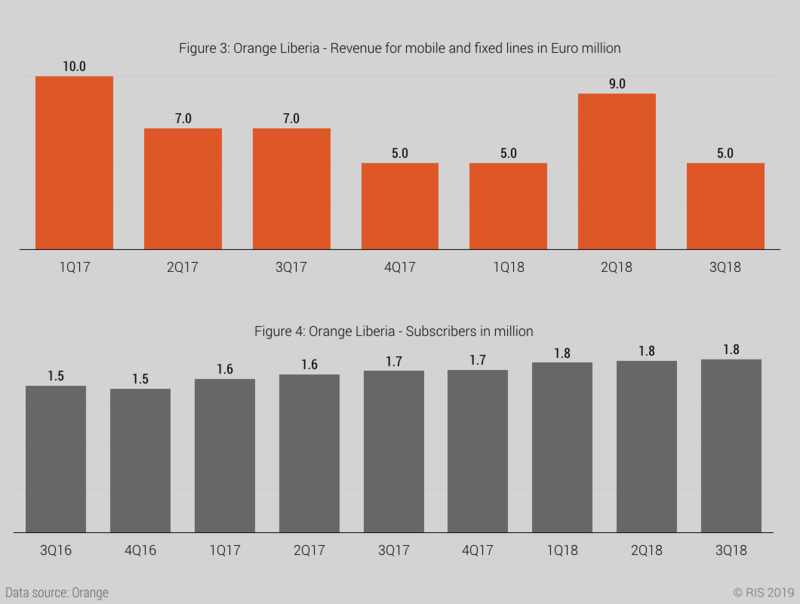 Q2 2018 saw a rebound in revenues for Orange Liberia.